Office Space - Lerida, . This serviced office centre provides a range of fully equipped suites for from one to ten people on flexible terms to suit your business. 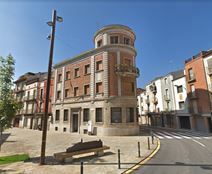 Located in the centre of Cervera, and under an hour from Barcelona airport, this centre is highly commutable; perfect for those with overseas contacts and are anticipating frequent travel. In addition, you can observe many historical landmarks in the area, as well as lots of museums and theatres.